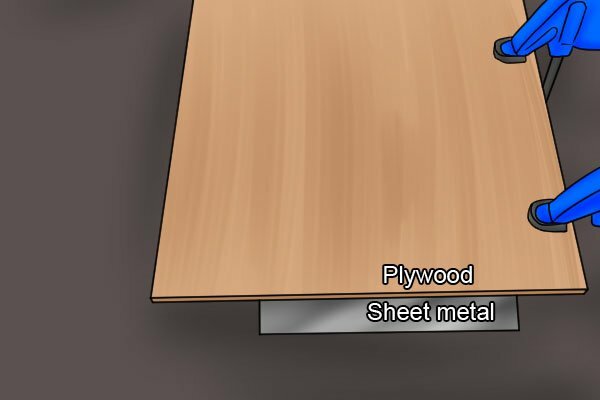 Before it is cut with a jigsaw, sheet metal should always be supported underneath by a sacrificial sheet of plywood. 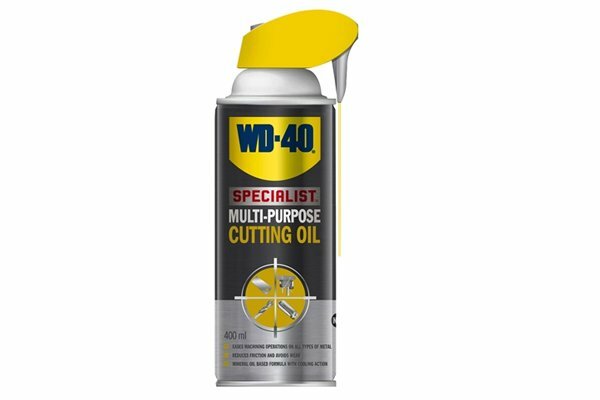 This will not only ensure that the material stays flat throughout the cut, but will also reduce vibration. If your workpiece is particularly thin, plywood should also be placed on top of the metal for extra reinforcement. 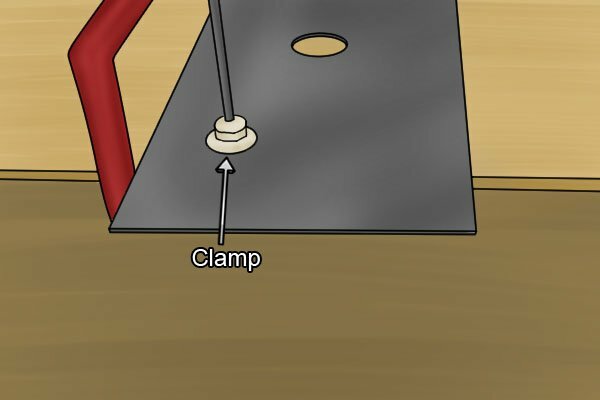 First of all, clamp the sheet metal and the wood supporting it securely to your workbench. 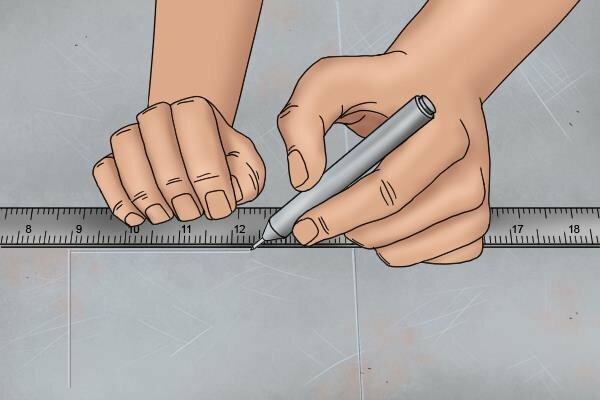 On the top layer of plywood or on the surface of your sheet metal, mark your cutting line. 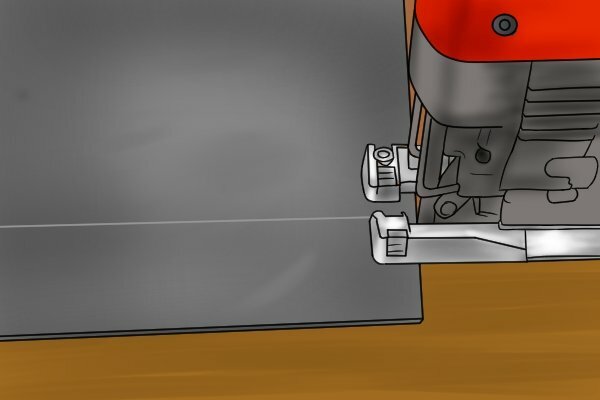 Align your jigsaw blade with the cutting line and rest the front of the shoe on the edge of the workpiece. Select a low speed setting and then turn on your jigsaw. Wait for the blade to reach full speed before pushing the tool slowly forward along the cutting line. 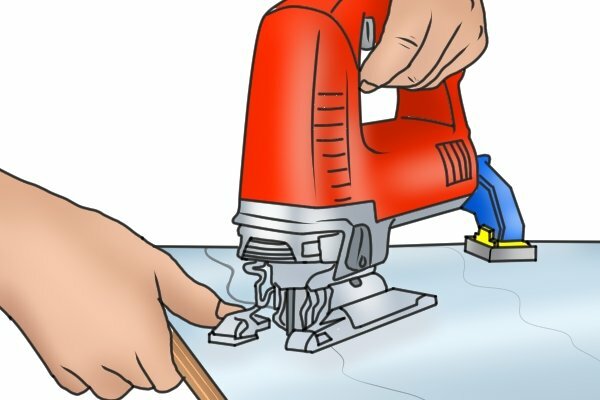 As you make progress, every so often, apply a small amount of cutting to the blade of your jigsaw to keep it and your workpiece cool. Continue to cut until you reach the end of your marked line. You may find that your jigsaw has left a burr along the edge of the sheet metal. 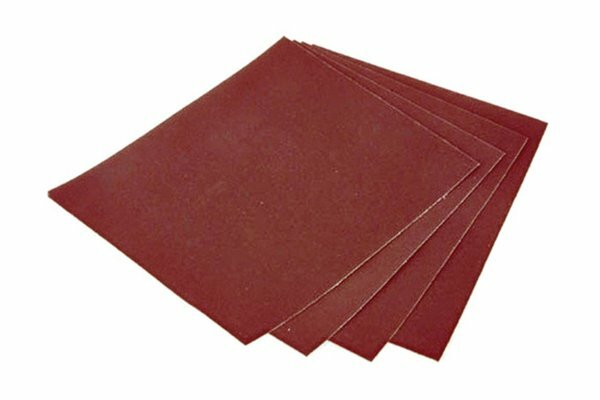 Use aluminium oxide sandpaper to remove any imperfections and leave a clean finish.